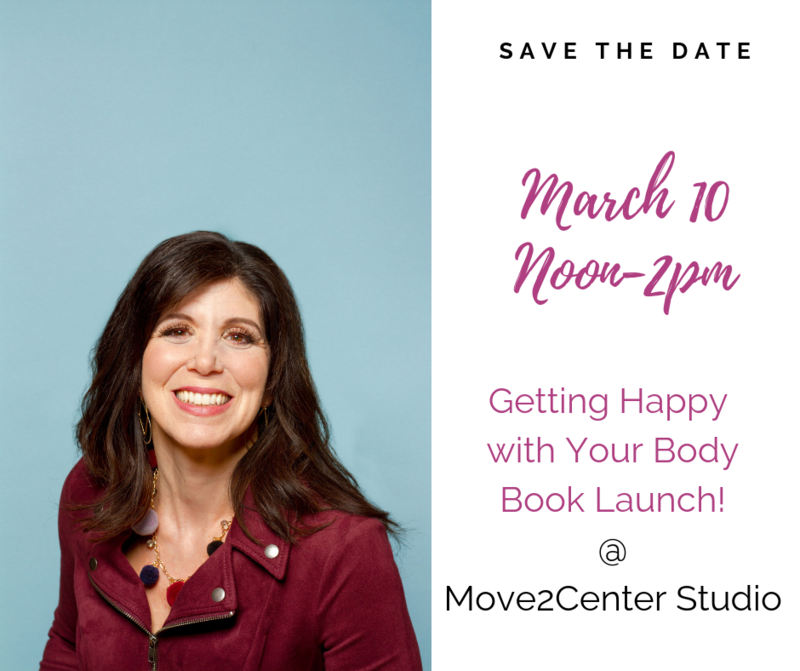 Join me in celebration of my debut book: Getting Happy with your Body at Move2Center Studio at Noon on Sunday, March 10th. We’ll chat all things body and book along with nibbles and treats. Please Register at Move2Center Studio’s website.